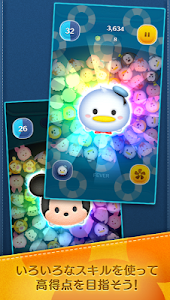 Easy puzzle game that collects and connects TSUM TSUM (popular stuffed toys) at Disney store appears in LINE! 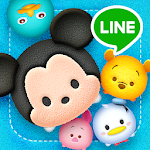 Mickey Mouse, Donald Duck, Winnie the Pooh and others all love Disney characters! How to play is very easy, just connect three "zum" of stuffed animals! There are many types of zum, so let's collect and play! Until the time up, just connect three more than the same character's zum, trace it. 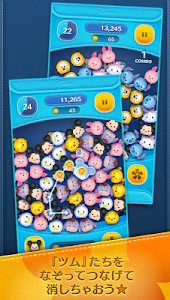 As the score varies depending on the length linked, let's connect as long as possible and aim for high score! 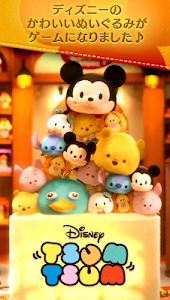 · Tsum will disappear if you connect more than three, and will score. · Longer connected, higher scores! · When you erase a lot, you become a fever and you get a high score! 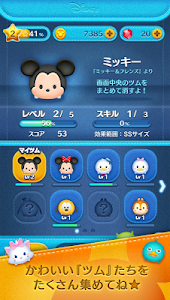 · If you get a zum, it will appear in the game as "Mitsumu". · Mitsumu has special skills so use it well. 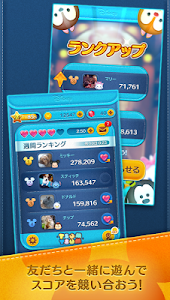 · Let's aim at high scores with each style, each person's strategy method!